Phenomenal location. You couldn't ask for a cleaner, more functional place. Great restaurants right around the corner! The location was convenient. The person who greeted us was very pleasant. We have been welcomed very friendly, the room was amazing and was all in you need although it was quite small but more than enough for one night. We would always come back again and suggest it to everyone who want an uncomplicated stay at Coimbra! The apartment is very close to the main station and the city center. The house is very clean and comfortable. The staff is available and extremely kind. We totally reccomend this accomodation. The place is a mix between an old building and a very modern design which we loved. There is a lot of space in the room - it’s really well thought. We spent a quiet night and were very comfortable! 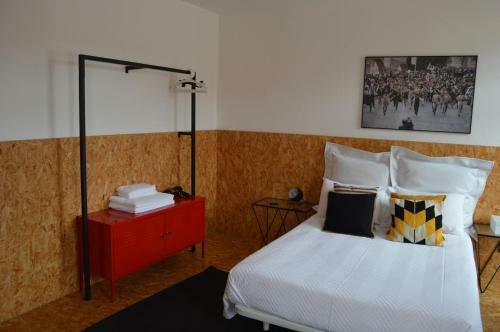 Good location, close to the train station, though in the city center, well equiped and cosy room. The owner was very kind and helpful, she gave us a lot of good advices. The last day we could leave our luggage in the room after the check out without any problem. Location was excellent. Kitchen and bathroom all worked well. Meeting lady, Carla, was very nice and friendly. She gave a lot of valuable recommendations for places to visit and for local restaurants. Recommended free parking place. The room has everithing you need, exept washing machine for long stay. But you can wash your clothes in 'lavaderias' on the city very cheap. We did not need that since we where there only 4 nights. It was perfect, just in the center of Coimbra downtown. Carla, who welcomed us, was charming and there when we arrived. She also gave us good directions to free parking. Hand wash was provided, showers were good. Clean and modern. Easy to reach from train station and very central. 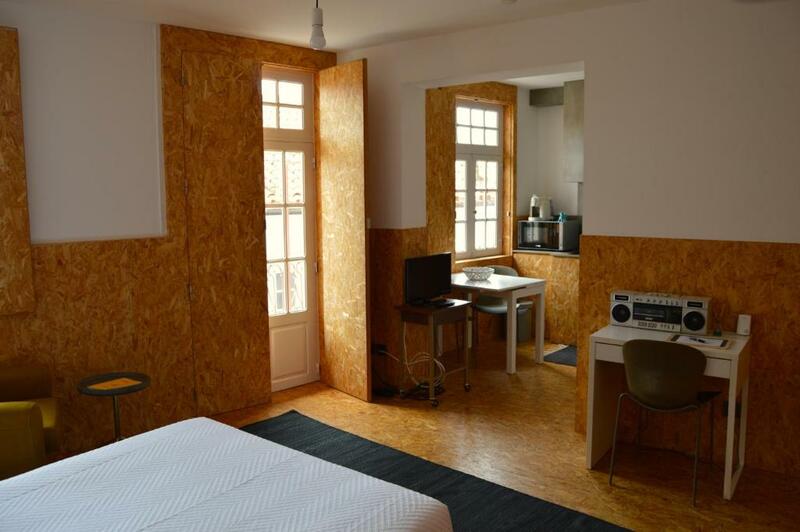 Lock in a great price for Coimbra Downtown Accommodation – rated 8.6 by recent guests! 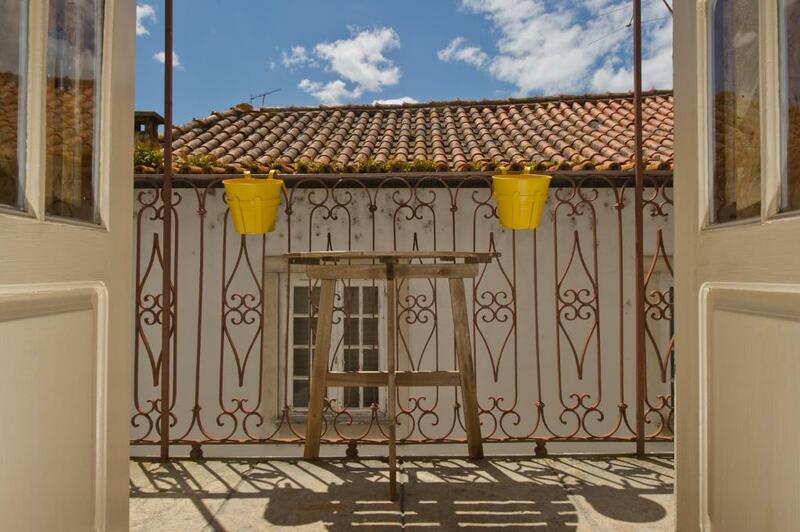 Located a 15-minute walk from Portugal dos Pequenitos, Coimbra Downtown Accommodation has accommodations and free WiFi in Coimbra. All units include a fully equipped kitchenette, allowing guests to prepare their own meals. Some units include a dining area and/or a balcony. Santa Clara a Velha Monastery is 0.8 miles from the apartment, while S. Sebastião Aqueduct is 1.5 miles away. 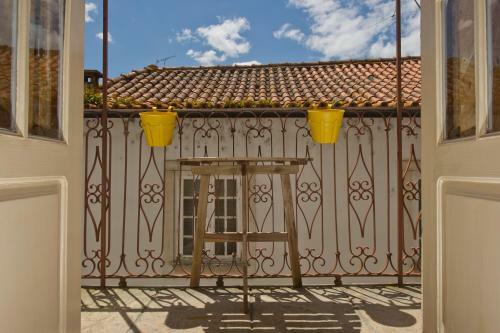 When would you like to stay at Coimbra Downtown Accommodation? This suite features a private entrance, kitchenette and tea/coffee maker. This suite has a microwave, kitchenette and kitchenware. This family room has a private entrance, microwave and kitchenware. It is perfectly located next to the railway station A and the river, so that you can check in and then start your visit on the university. Newly renovated and redecorated with a cool design it contains all necessities and luxuries to satisfy your stay. Located in a building´s second floor without elevator, and in a narrow quiet street in Coimbra´s downtown, this makes it very authentic! The central location makes it easy to explore the city center by foot. The train station is Coimbra-A, just 2-minute walk from the building. If you're driving, there are 4 secure car parks 5 mins walk away from the building. We are also very close to the river and the old town at the top of the hill (the flat is a few steps away from the Praça do Comércio). There's a bunch of highly recommended restaurants very close-by (Ze Manel Dos Ossos, Fangas Mercearia, Adega Paço do Conde is literally 5 steps away). Coimbra is a very unique, enjoyable city. 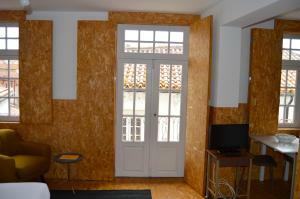 If in Coimbra, do not miss out on this unique studio experience! 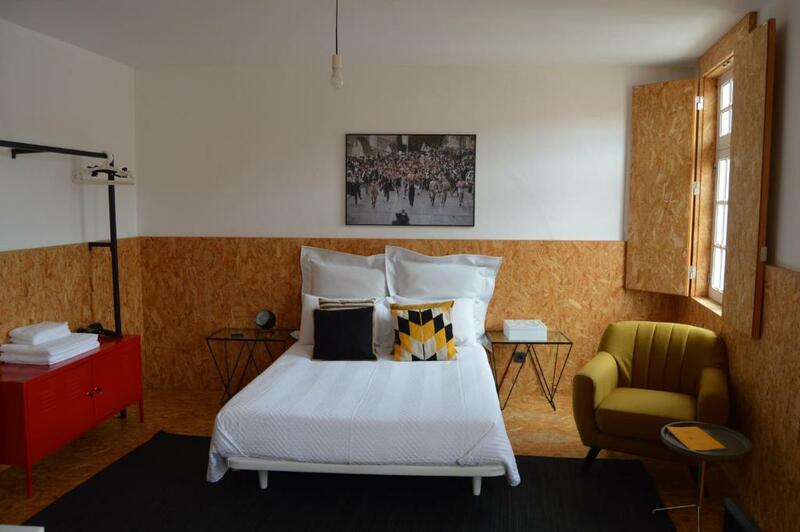 This lovely luminous Studio´s are perfectly adapted for short-term-living, it contains all necessities and luxuries to satisfy your stay. Newly renovated and redecorated with a very cool design (wonderful and comfortable OSB wooden floor), it keeps the delicate balance in between antique building structure, typical of Coimbra Downtown housing, and modern design comfort. Very central, clean, quiet and with a special wooden look the studio's decoration is great and very minimalist and practical. Everything is taken really well care of: the bed is tidy, shower is awesome, towels are fresh and fluffy, kitchen is modern and has expresso capsules. On top of that, the location is perfect, everything in a walking distance in the lovely city from the studio. Both´s STUDIO´s and Apartment features a very comfortable new double bed 140 cm x 200 cm size, night tables, wardrobe and a private bathroom. Bed linens, towels, toilet paper are provided. 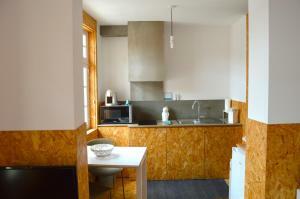 It's composed of full-equipped kitchen and one bathroom. 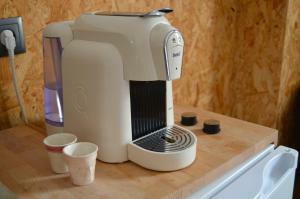 All furniture´s are new. Full equipped kitchen, fridge, towels, bedclothes, free WIFI-Internet connection. We promise to do all the best to organize your perfect stay and give you the best Coimbra-Experience. It will be a pleasure to provide you any kind of information about the city, the best places to go, museums, restaurants, bars, clubs, Fado, etc... The AREA is ideal if you come on vacations: it has the benefit of a more refined and sophisticated ambiance and it's a wonderful alternative to others parts of Coimbra. Transport links make it a destination in itself as well as a convenient base for exploring this entire energetic city has to offer. House Rules Coimbra Downtown Accommodation takes special requests – add in the next step! Please inform Coimbra Downtown Accommodation of your expected arrival time in advance. You can use the Special Requests box when booking, or contact the property directly using the contact details in your confirmation. The bed was pushed against the wall because of lack of space so access wasn’t easy. No lift so be prepared to carry luggage up two flights of stairs. Although parking was free and plentiful in a secure underground location it was a good 15-20 min walk from the flat. The position was awesome and lent itself to walking throughout the old city. The apartment was cosy but fine for two nights. We were welcomed warmly and given good tips for sightseeing. No air conditioning but the fan did the job. Would stay again because of location. The double bed was against a wall. The window is too high for a view. 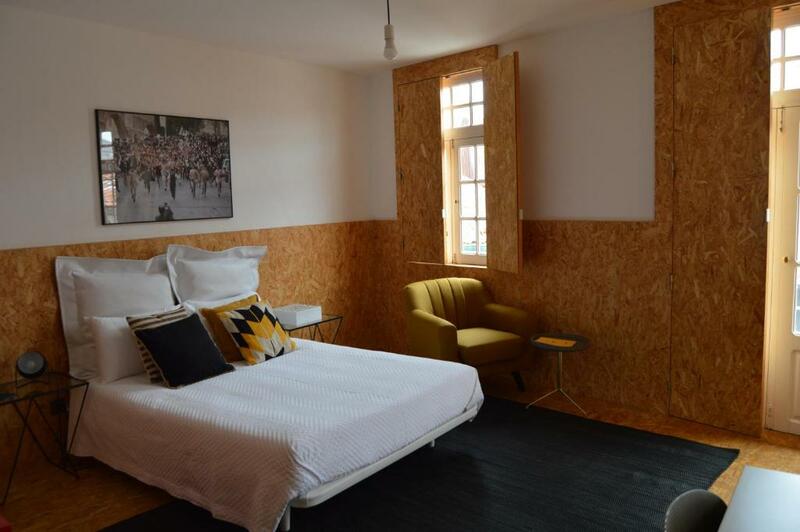 The floors, half the walls and all shutters were made of chipboard. Once the shutters were closed, it felt a bit like sleeping in a coffin! No shades on the lights, and only one pillow per bed. Insufficient covers on the beds we slept in also. No comfy chairs or sofa to sit on. Luckily we were only there for one night and all we wanted to do in the room was sleep and shower. Everything was nice. The only down point is that the room is not well sound isolated. It did not disturb us. Confirm the parking, they are apparently trying to sort out the parking quoted on booking.com We were to,d to park at o e park but ended up paying 30.00 Euro instead of the 7 euro per day quoted on the booking site. Great position close to the Centro. Too much wooden panelling in very small apartment. No view and only 1 very small window. Felt very enclosed. Parking nearby was expensive. Good location. Very clean. Good shower. Friendly lady welcomed us on arrival. The pictures should have been a clue that this was not a luxury accommodation. It provided the basics and we were there for only one night. I would not recommend it.